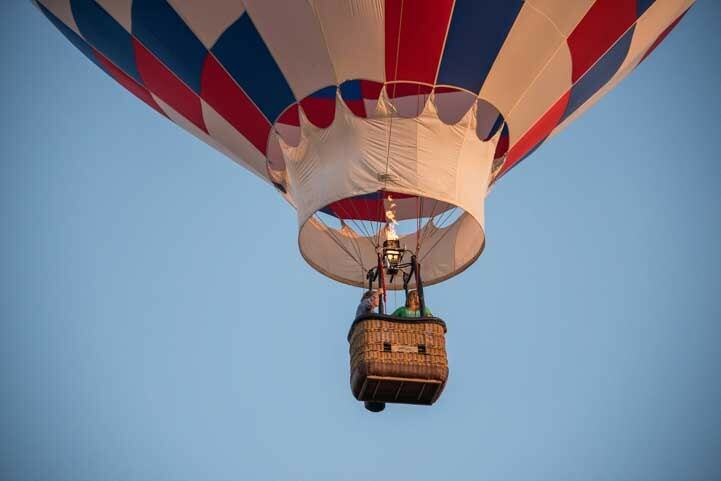 One of the more unusual types of sightings we’ve enjoyed in our RV travels is hot air balloons flying overhead. Early one morning last summer while camping in South Dakota’s Black Hills we awoke to the roar of a balloon heater’s flame and we dashed outside to see a balloon floating over our trailer. 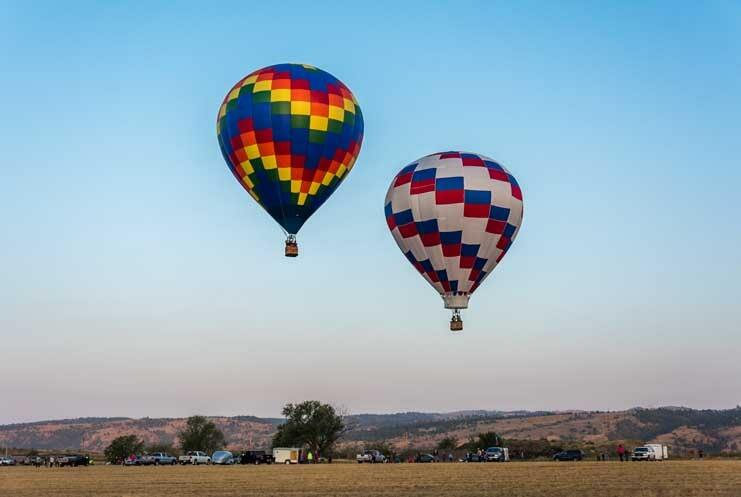 A few weeks later at the end of August we saw the Fall River Balloon Festival in Hot Springs, South Dakota. 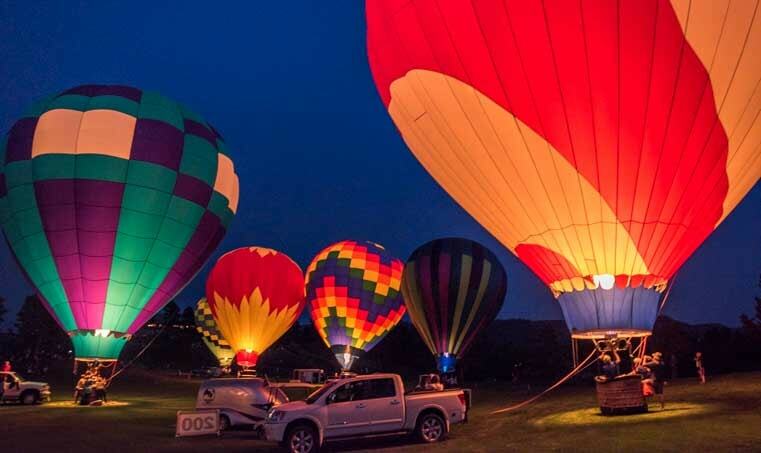 This was a small balloon festival with just a dozen or so balloons, but the evening balloon glow was a true delight. 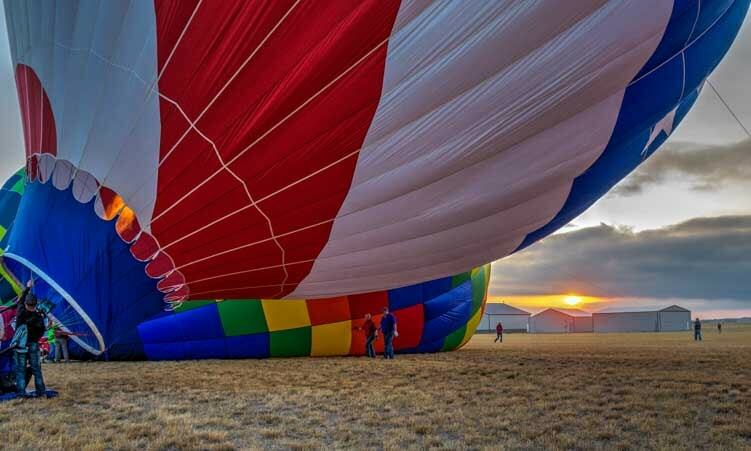 The balloonists slowly heated the air in their balloons and raised them to an upright position while holding them down to the ground with tethers. 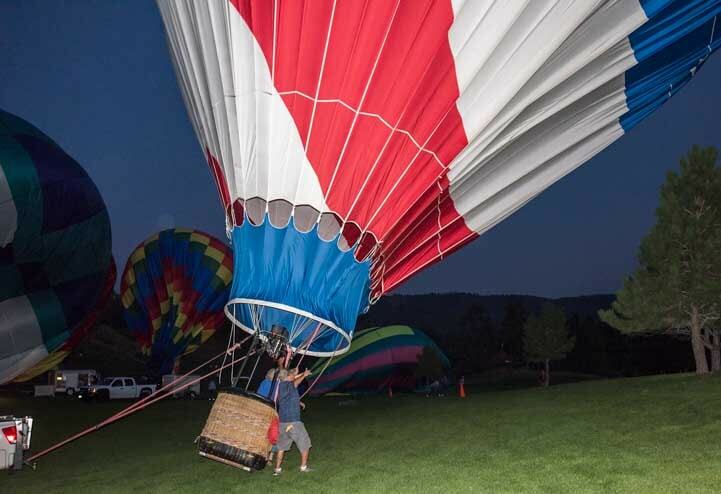 During the Balloon Glow the balloons were tethered to the ground so they wouldn’t drift away. Then, on cue from the announcer on a loudspeaker, they all turned on their heater flames at the same time, lighting up the balloons in the dark. 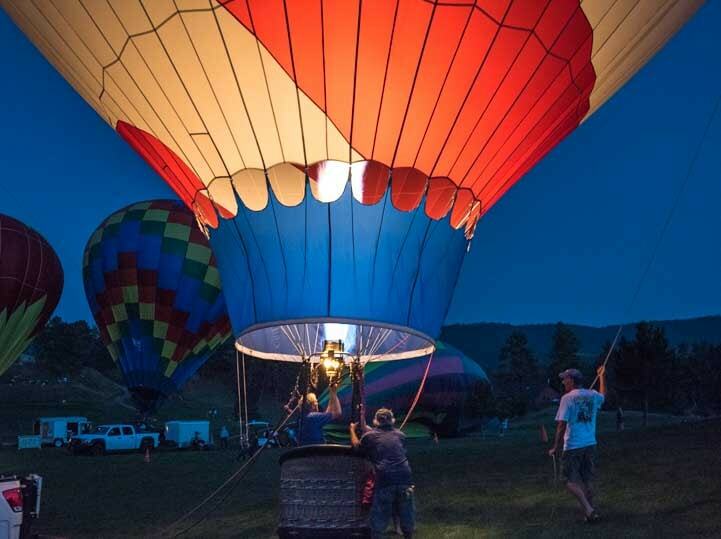 The “Glow” is created by turning on the flame that heats up the air in the balloon. Unfortunately, the wind picked up and the balloon glow had to be cut short. 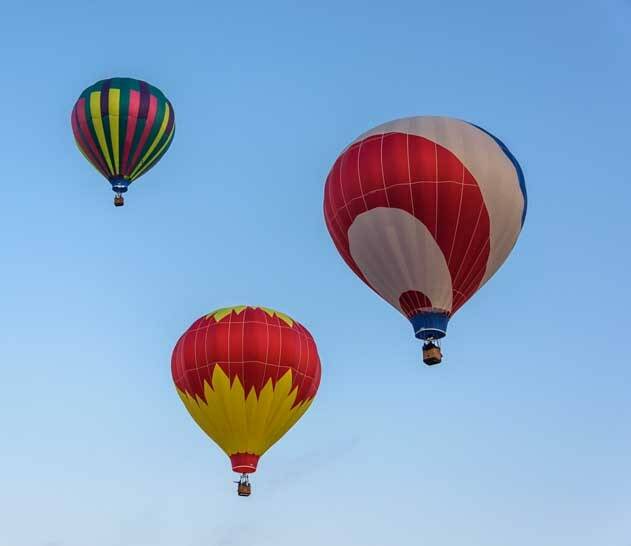 The balloonists did a quick “twinkle” where each balloon turned its heater on and off repeatedly, making the group of balloons appear to twinkle, and then they brought their balloons down. 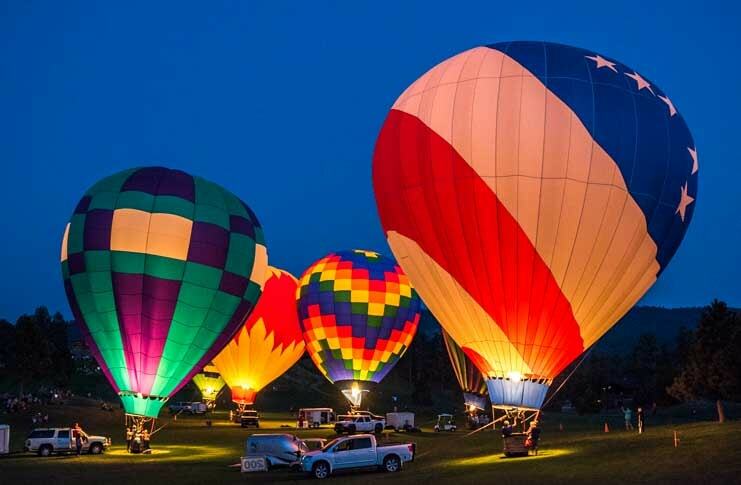 In a “Balloon Twinkle” each balloonist randomly turns their flame on and off, making the balloons appear to twinkle in the dark. 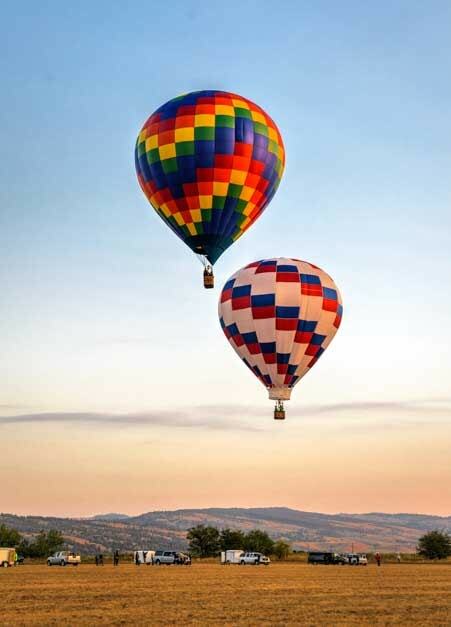 But the next morning the balloonists were at it again, bright and early, out by the small Hot Springs Airport air strip. The next morning the balloonists inflated their balloons for a group ride. The balloonists arrived before dawn and started laying out the balloons on the ground. Once each huge balloon was stretched out on the grass like an enormous blanket, the balloonist team then began to inflate it with hot air. 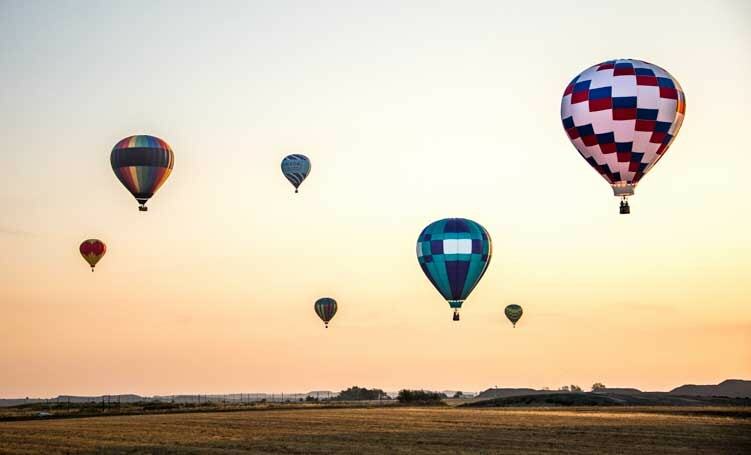 Each balloon was slowly inflated as the sun began to peek over the horizon. 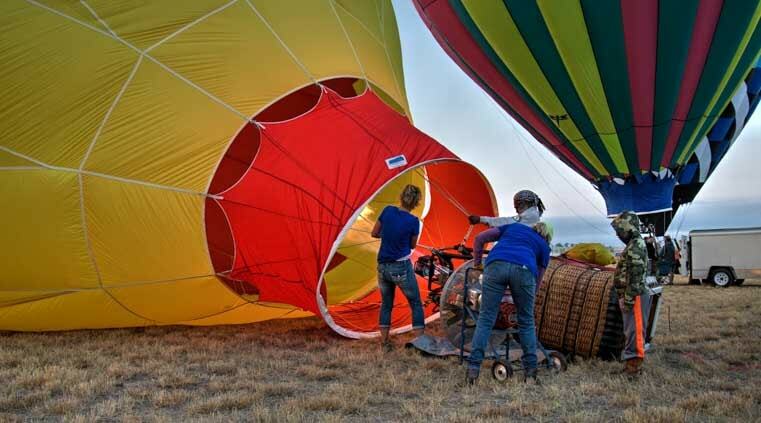 Before long, all the balloons were inflated and sitting on the ground ready to launch. The balloons were inflated, all in a row, and tethered to the ground. A balloon slips away into the sky. The balloons floated up into the sky one at a time. And soon they were all in the air, drifting across the open field and following the air currents. The balloons slowly glide by. We ran across the field, our cameras clicking away. The folks in the baskets waved down at us and seemed to be having a ball. The sun crested the horizon and cast a golden glow across the sky. Before long the balloons were out of sight, and the little handful of spectators began to fold up their chairs and head home. A small group of spectators watched the balloons vanish from sight. 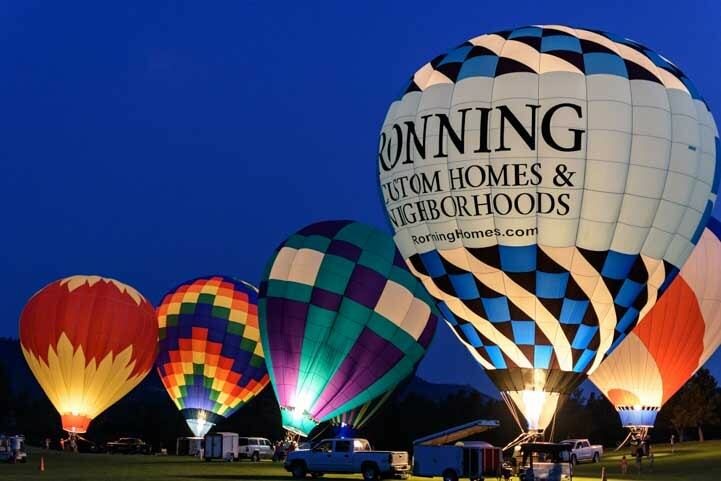 If you have never been to a balloon festival and you are in Arizona now, there is a fun one going on at Lake Havasu this weekend (Jan 19-21, 2018). We saw it, along with the Buses at the Bridge VW Microbus festival a few years back (blog post here). 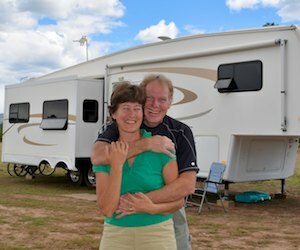 This entry was posted in South Dakota and tagged New, South Dakota, Special Events, Travel, USA, WP Travel by Roads Less Traveled. Bookmark the permalink. Those babies are beautiful…the colors are brilliant! Plenty of open space for them for sure…. What a treat ! Never having seen such a colorful sight, fun to see just how it works ! We went on a balloon ride once and just loved it. When the heater isn’t on it’s silent and you just float in the air. We went quite low at times, getting a closeup view of curious cows below us!! It’s a very fun thing to do. Stunning pictures, Em. Look forward to finding such an event out our way.